Materials for the event can be found in the Agenda section of the page. The Ohio Virtual Tax Academy (OVTA) is a free event designed to provide tax-related information to small business owners. Attorneys and accountants are also invited to attend and can earn up to three (3) CLE credits and up to three and a half (3.5) CPE credits. More information about the next OVTA will be available soon. Important: If you are seeking CLE and/or CPE credit, you will be expected to watch/listen for the VTA “code words” that will be scattered throughout the presentations. There are a total of six words that you will need to remember. Upon exiting the event, you will be prompted to supply the code words in order to receive credit. Failure to identify the appropriate code words will result in a loss of possible credit awarded. Effective January 1, 2014, attorneys may earn up to 12 hours of self-study CLE credit towards their annual limit from online webinars. The Ohio Department of Taxation is an equal opportunity employer and provider of ADA services. If you have any questions or concerns please email Organizational Development or call us at (614) 466-7560. Our normal business hours are Mon-Fri 8:00 am - 5:00 pm. The information presented in the slide presentations and contained in the FAQs is accurate as of the date of the presentation. To the extent that the positions stated in the FAQs do not conflict with any recent legislation, such positions are still in effect. However, please note that the presentations and FAQs related to OVTA webinars are static and will not be updated to reflect more recent legislation, rules, court decisions, Information Releases or other types of guidance. Additionally, many times the facts and circumstances surrounding the specific scenario will impact the answer. Please contact the Department directly if you have any questions (Individual Income Tax - (800) 282-1780 or Business Tax - (888) 405-4039). This session will be an overview of the administrative rule review process and rule changes of note in the past year. Additionally, the session will provide updates on new legislation and court decisions affecting the Department in 2019. This session will provide an overview of the history, taxability, remittance, and withholding requirements that come with various types of gaming in Ohio. This session will briefly cover any pending legislation. This section of the OVTA will be covering the municipal net profit tax administered by the Ohio Department of Taxation. We will cover numerous topics including, opting-in with the Department for 2019, filing requirements for declaration of estimated payments, Modernized e-Filing, the annual tax return, and various updates. Can we net gambling losses with gambling gains?Can we net gambling losses with gambling gains?What entity types are not eligible to opt-in for centralized filing?What entity types are not eligible to opt-in for centralized filing?What is a disregarded entity?What is a disregarded entity?Are all cities in Ohio included in centralized filing?Are all cities in Ohio included in centralized filing?If a business has not enrolled to file municipal net profit tax through the Department, can extension payments be made to municipalities through the Gateway as in past years?If a business has not enrolled to file municipal net profit tax through the Department, can extension payments be made to municipalities through the Gateway as in past years?How will a city be notified when a business opts out of centralized filing?How will a city be notified when a business opts out of centralized filing?What happens if the 1st estimate for 2018 was paid to the city?What happens if the 1st estimate for 2018 was paid to the city?What if you opt-in for centralized filing but forget one city on the registration form, do we then file on paper with that city until we elect for that specific city on the Gateway?What if you opt-in for centralized filing but forget one city on the registration form, do we then file on paper with that city until we elect for that specific city on the Gateway?Do taxpayers need to file a $0 estimate?Do taxpayers need to file a $0 estimate?What are the payment methods and is there a fee?What are the payment methods and is there a fee?If you opt in for 2019 and want to make an extension payment towards 2018, is that still made with the individual cities? If you opt in for 2019 and want to make an extension payment towards 2018, is that still made with the individual cities? For extension of MNP returns, will the State accept the federal extension as cities have done in the past?For extension of MNP returns, will the State accept the federal extension as cities have done in the past?Is there rounding on the municipal net profit return? Is there rounding on the municipal net profit return? When would the estimated payment only tab is used?When would the estimated payment only tab is used?How do we know which software vendors we can use for filing municipal net profit returns and payments?How do we know which software vendors we can use for filing municipal net profit returns and payments?What is the information release number regarding NOLs for municipal net profit tax?What is the information release number regarding NOLs for municipal net profit tax?If a municipality did not have a NOL previously, are those phased in at 50% or disallowed? If a municipality did not have a NOL previously, are those phased in at 50% or disallowed? Are NOLs that were incurred prior to 2017 subject to the phase-in limitation?Are NOLs that were incurred prior to 2017 subject to the phase-in limitation?Relating to Ohio’s income tax, how can I find out the Department’s position on an issue if it’s not in the Ohio Revised Code or the Ohio Administrative Code?Relating to Ohio’s income tax, how can I find out the Department’s position on an issue if it’s not in the Ohio Revised Code or the Ohio Administrative Code?Will this affect CAT tax filing?Will this affect CAT tax filing?If you are dissolving a partnership or LLC, do you still file a D-5?If you are dissolving a partnership or LLC, do you still file a D-5? Jeff McClain is the 19th Ohio Tax Commissioner and was appointed by Governor Mike DeWine in January 2019. 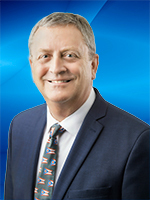 Prior to the Ohio Department of Taxation, McClain served as the Director of Tax and Economic Policy for the Ohio Chamber of Commerce, where he worked to achieve passage of the Municipal Income Tax changes in the most recent biennium budget. Prior to his work at the Ohio Chamber, McClain was a Member of the Ohio House of Representatives where he served as Vice Chair of the House Finance Committee and as Chair of the House Ways and Means Committee. McClain also served as the Wyandot County Auditor for 26 years. Lelia started her position as Training Officer with Organizational Development (OrgD) in November 2010. 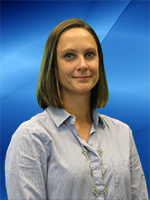 She began her career with the Department of Taxation in 2007, in the processing division. Lelia was a 13 year member of the Air Force Guard and Reserve, and held the position of Training Assistant. Lelia currently trains classes such as Customer Service, Work Place Violence, Managing Multiply Priorities, SOJT and Train the Trainer. She assist with the CCC, Holiday Food Basket, Operation Feed, and manages special projects. 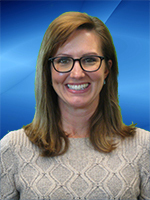 Kerrie serves as administrative counsel for the Department, assisting with contracts and vendor management, budget & fiscal legal support, IT compliance and security, data and records management, administrative rule review, and records requests. She joined the Department of Taxation in 2010. 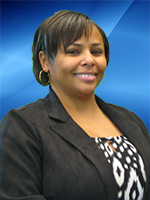 Prior to her current position, she served as legal counsel for the bankruptcy division. Currently, Laura Stanley is Legal Counsel for sales and use taxes for the Ohio Department of Taxation, within the Business Tax Division. In this position, Laura is responsible for drafting final determinations, legal ruling requests, administrative rules, information releases, and reviewing proposed legislation, as well as advising the Administrators of the Business Tax Division and Commissioner's Office on legal matters. Previously, Laura served as Legal Counsel for various taxes, including the commercial activity and petroleum activity taxes within the Business Tax Division and the excise taxes within the Excise & Energy Tax Division. Prior to becoming Legal Counsel, Laura worked as a Management Analyst Supervisor in the Commercial Activity Tax Division and was instrumental in several projects, including the Voluntary Disclosure Program. 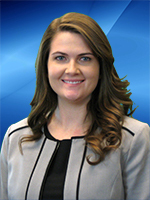 Additionally, Laura assisted her predecessor in her capacity as Legal Counsel for the Commercial Activity, Motor Fuel, and Excise Tax Divisions. 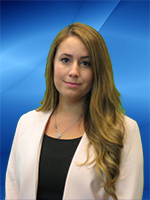 Laura enjoys the presentation circuit and looks forward to building relationships through interaction with the public. Laura graduated from The University of Akron in Akron, Ohio with a Bachelor’s of Science in Political Science & Criminal Justice and an Associate of Applied Science in Criminal Justice Technology. Additionally, Laura earned her J.D. from Capital University School of Law in Columbus, Ohio. Holly Lynch currently serves as a Division Counsel at the Ohio Department of Taxation in the Office of Chief Counsel and specializes in fuel taxes, gaming, and business tax credits. Prior to serving as Division Counsel, Holly was an administrative hearing officer in the Tax Appeals Division, where she worked with a variety of taxes including individual income, pass-through entity, financial institution, school district income, sales and use, corporate franchise, and employer withholding. Holly received her B.B.A. from Belmont University and her J.D. from Ohio Northern University. Kyra Horvath currently serves as an Attorney at the Ohio Department of Taxation in the Office of Chief Counsel, Tax Appeals Division and works with a variety of taxes including individual income, pass-through entity, school district income, employer withholding, and commercial activity. Kyra received her B.A. with honors in Economics, Business, and Political Science from Muskingum University and her J.D. from Capital University. Cody began his career with the Department of Taxation in June 2013 as a Tax Commissioner Agent 1 in the Business Tax Division. He became a Tax Commissioner Agent 3 in the Business Tax Division in November 2014. 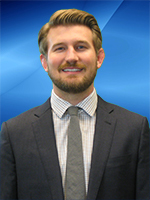 Cody was promoted to a Tax Examiner Specialist in October 2017 in the Business Tax Division with a focus on the Municipal Net Profit Tax. In May of 2018 he was promoted to a Tax Examiner Manager in the Business Tax Division still focusing on the Municipal Net Profit Tax. Cody received a bachelor’s degree in Business Administration from Ohio University in 2012. 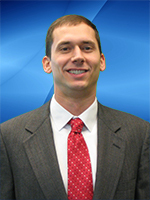 Michael Vajen began his career with the Ohio Department of Taxation in January 2012 as a Tax Commissioner Agent 1 in the Taxpayer Services Division. In August 2013, Michael was promoted to a Tax Commissioner Agent 3 in Taxpayer Services specializing in business taxes. Michael was promoted to a Tax Commissioner Agent 4 in the Compliance Division, which focuses on the Department's billing and assessment program. Michael returned to Taxpayer Services as a Manager focusing on the business taxes in November 2015. Michael transitioned to the Business Tax Division to oversee the Municipal Net Profit Tax in October 2017. Michael is a graduate of Ohio University with a Bachelor of Business Administration majoring in Accounting.